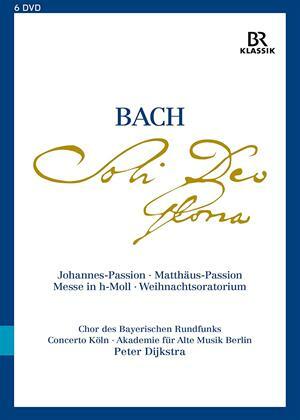 The Chor des Bayerischen Rundfunks performs in this collection of works by Bach conducted Peter Dijkstra. The works are: 'St. John Passion, BWV245', 'St. Matthew Passion, BWV244', 'Mass in B Minor, BWV232' and 'Christmas Oratorio, BWV248'.